It's a new year, but the same great deal on two great State College Spikes Value Plan optionsall the way to the end of the month! Order a Family Fireworks Plan or a Mug Club Plan, and get a BONUS game of your choice added on if you purchase by January 31! See all of the benefits of a Spikes Value Plan here! Spikes Value Plans offer many of the same benefits and value as a Season Seat Membership without the commitment to every game. The 12-game Value Plan options available for this special are the Family Fireworks Plan, which includes all of the Spikes' fantastic FIREWORKS shows among the dozen games in the plan, and the Mug Club Plan, which includes the Spikes' signature beverage specials on Wednesday and Thursday nights, as well as the Home Opener on Saturday, June 15 and the regular-season home finale on Sunday, September 1. Plus, Spikes Value Plans come with the "No Ticket Left Unused" program. Turn in your unused Value Plan tickets for tickets to a future regular season home game in 2019! 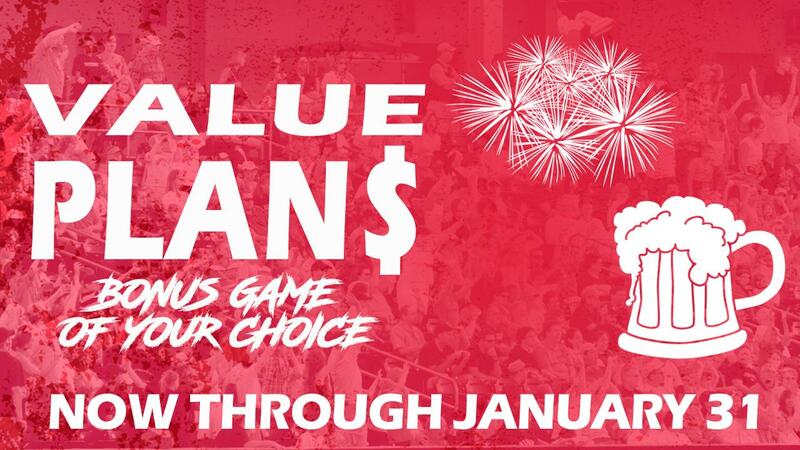 To take advantage of this Value Plan special, call a Spikes ticket representative at (814) 272-1711. Click here to get more information on Spikes Value Plans.